Words by Kevin Doocey on January 22, 2015 . It’s Thursday evening and let’s be honest - there isn’t much to do aside from refreshing Twitter with the hope that Newcastle United have sensationally unveiled Frank de Boer as their new head-coach. Either that, or you could read the countless, substance-less rumours about Newcastle United’s transfer ambitions this January. 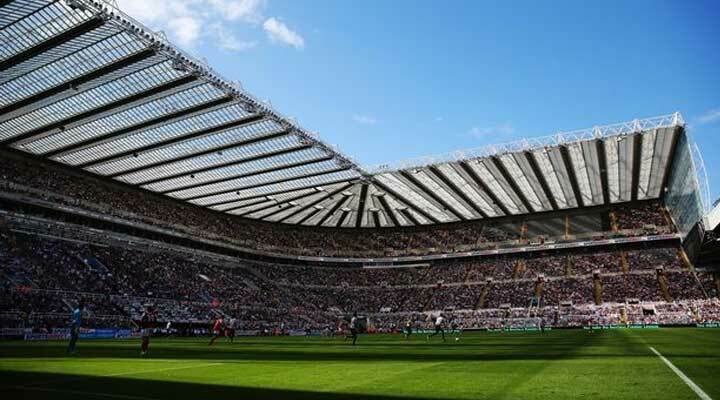 You might even want to read about Moussa Sissoko’s impending departure from St. James’ Park, or the news that Jonas Gutierrez seems set for a move back to his native Argentina, soon to be followed by Fabricio Coloccini when the summertime calls. Enough of all that — instead, take a couple of minutes to test your knowledge of Newcastle United both past and present. Unlike most quizzes out there, you may be left scratching your head at some of these questions, because they’re intended to be quite random. Take a breath, and see how well you fare out in Tyne Time’s Toon Trivia. Feel free to share your scores on the social networks, and if you’re feeling very proud or even ashamed of your final result - tweet yours truly @KevinDoocey with how you managed to fare out. Only ten questions - but can you manage 100% without sprinting to Google? Congrats, and thanks for the taking the time to try it. They'll get harder as the weeks go by, that I can promise! Not bad at all, Richie. From looking at the stats, 7/8 out of 10 seems the average. There are plenty of 4/10s too! Last premiership victory was the hardest to remember!! !